South Bend Cubs outfielder Eloy Jimenez is the 2016 Midwest League MVP and Prospect of the Year. 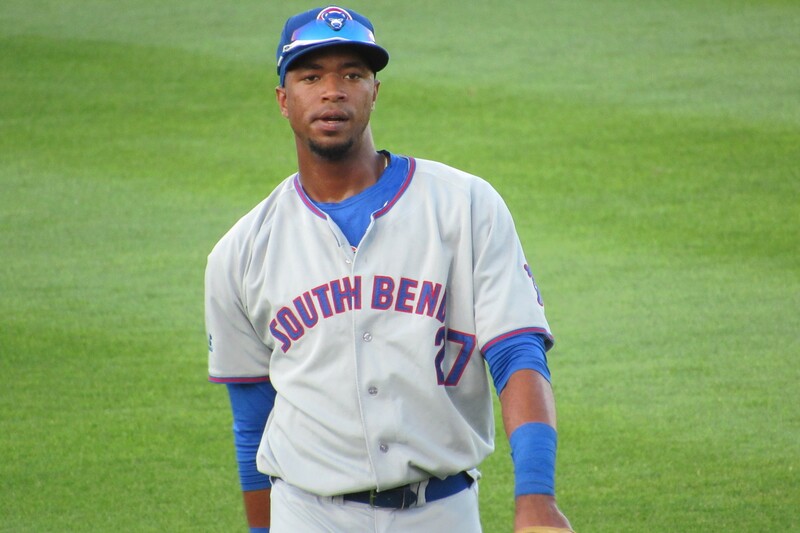 South Bend Cubs outfielder Eloy Jimenez was named the Midwest League’s Most Valuable Player and Prospect of the Year on Tuesday. Jimenez is batting .337 with 12 home runs, 38 doubles, three triples and 77 RBI in 106 games, with 13 games left in the regular season. The Chicago Cubs prospect won the Top Star Award for his performance in this year’s Midwest League All-Star Game, and less than a month later, starred on a national stage in the All-Star Futures Game. His manager, Jimmy Gonzalez, was named the league’s Manager of the Year. South Bend is 78-48, the second-best record in the Midwest League. The team won the first-half Eastern Division title, and has the best record in the division during the second half, too. 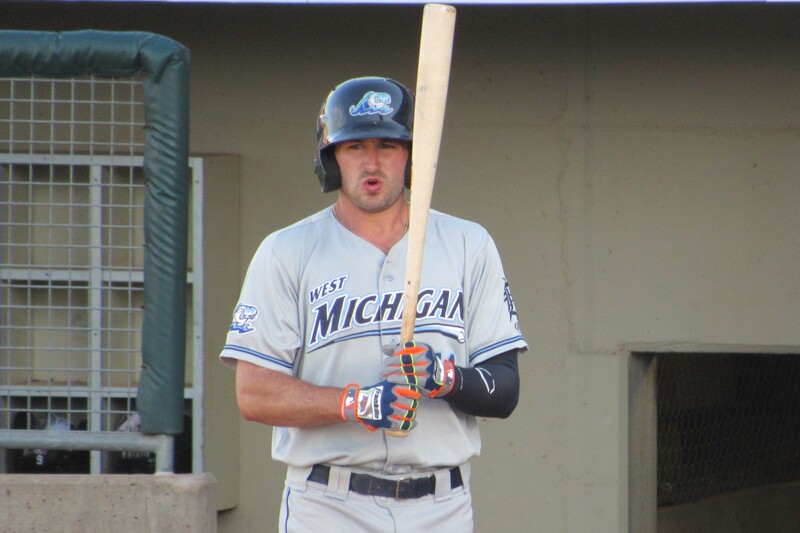 West Michigan Whitecaps first baseman Will Maddox’s .341 batting average is second-best in the Midwest League. 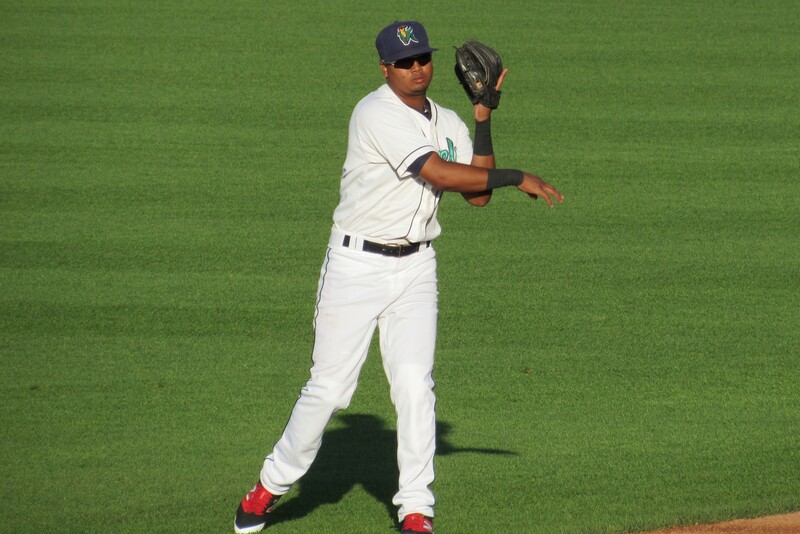 Cedar Rapids Kernels second baseman Luis Arraez’s .347 batting average leads the Midwest League. 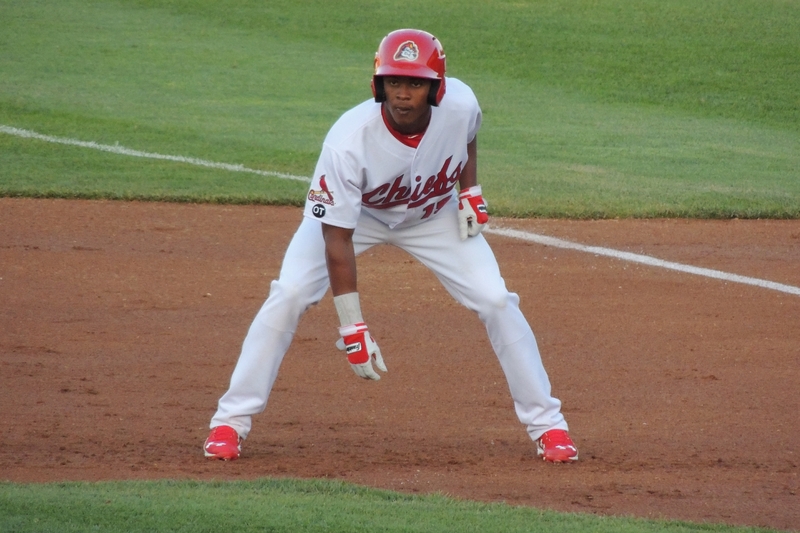 Peoria Chiefs outfielder Magneuris Sierra is tied for first place in the Midwest League with 69 runs scored. 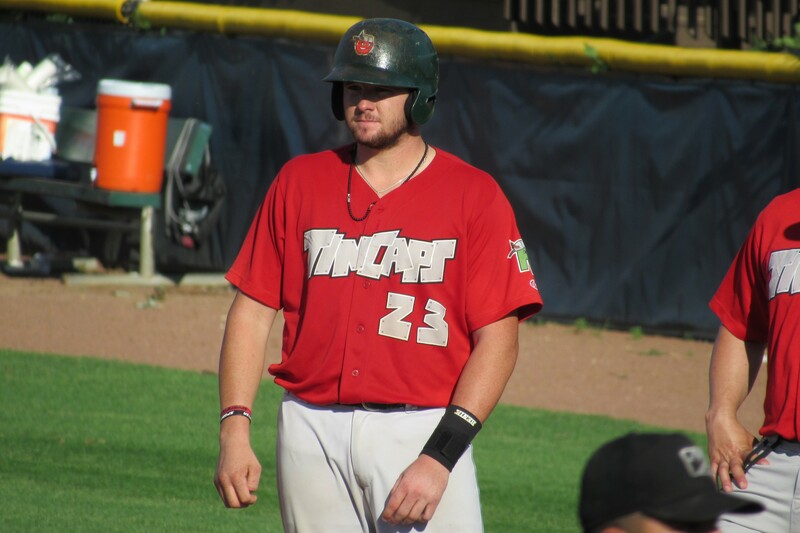 Fort Wayne TinCaps catcher Austin Allen had a 24-game hitting streak this season. 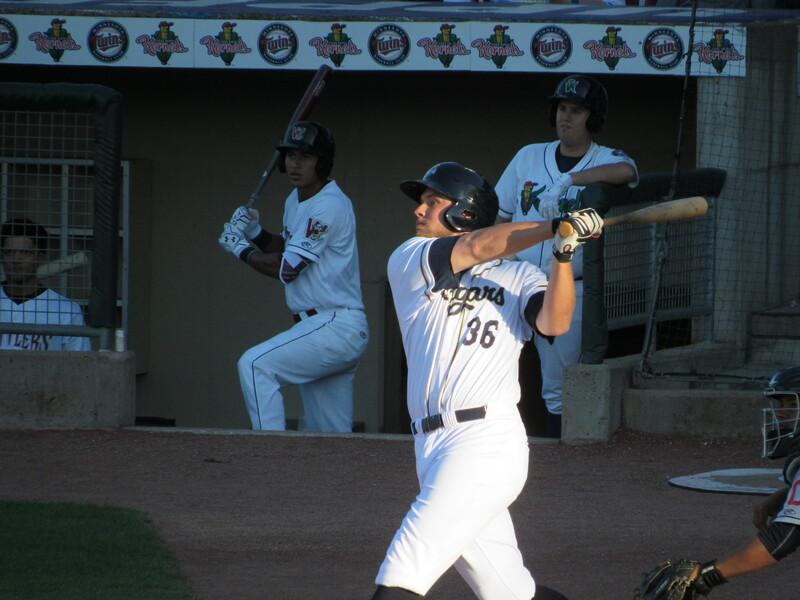 Kane County Cougars first baseman Trevor Mitsui drove in two runs with this swing in the MWL All-Star Game. This entry was posted in 2016 All-Star Futures Game, 2016 All-Star Game, 2016 Playoffs, Beloit Snappers, Bowling Green Hot Rods, Cedar Rapids Kernels, Fort Wayne TinCaps, Kane County Cougars, Lake County Captains, Lansing Lugnuts, Midwest League, Peoria Chiefs, South Bend Silver Hawks, West Michigan Whitecaps, Wisconsin Timber Rattlers. Bookmark the permalink.